We just returned from another awesome group tour to Bali. Our first stop was Tanah Lot, one of the most dramatic and unique Hindu temples in the world. 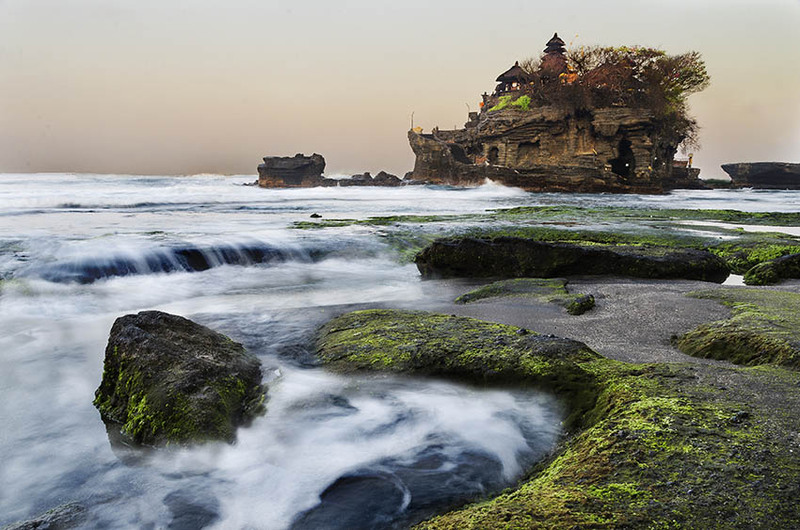 Tanah Lot was built on a rock that lies beyond the tide line. During high tides the temple is in the ocean and holy men and worshipers have to wade and swim to reach the stairs. We took this picture in the early hours of sunrise when the tide was still on its way in. Our guests got some nice shots to start our Bali group tour off on an adventurous start.